Location! Location! Location! This Unique Cape Cottage is a short distance to the Village of Dennis Port where you will find restaurants, shops, summer band concerts on the green, Library and more. 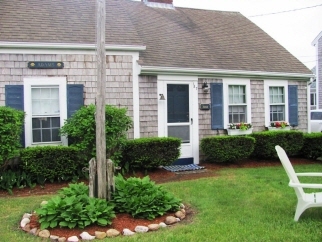 Just a half mile to Inman Road Beach on beautiful Nantucket Sound this charming 2 bedroom cottage features eat-in kitchen, large dining room, fireplace, outdoor shower, and private back yard. Solid vacation rental history; some 2019 rentals in place. House appears to be older than 1974 field card date; currently being researched. All information deemed reliable but not guaranteed. buyer/Buyer Agent to verify all information contained herein.